This report focuses primarily on wrongful discharge settlement amounts in the state of Vermont. It will be uncommon for great claims to go to court, simply because they quite often settle out of the courtroom. But if they do not reach settlement, there is a trial, in which the employee or the employer will prevail. Most of these lawsuits consist of mixed verdicts, which means that they implicated 1, or several claims of wrongful firing attributable to age discrimination, pregnancy, breach of employment contract, whistleblower, gender discrimination, disability, sexual orientation, gender expression or gender identity discrimination, constructive discharge, race, color, national origin, religion discrimination or firing in violation of public policy. The table beneath exhibits a snapshot of the various kinds of claims filed together with their specific volumes in VT in 2017. 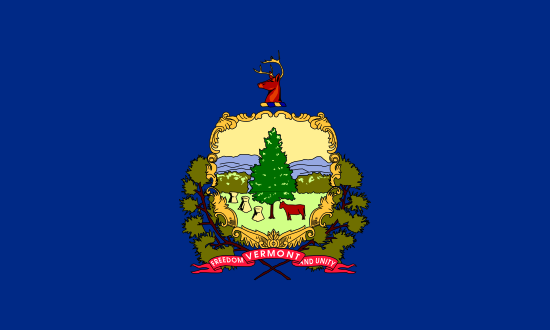 Vermont is one of the smallest states in the US with a very small population, and as such, employment discrimination and wrongful discharge cases are rare. Patricia Crowley worked as the personal assistant to the general manager of the city’s electric department, Barbara Grimes. Crowley was fired in 2012 while on sick leave. She sued the city and her ex-boss on a number of allegations: breach of contract, unlawful employment practices, discrimination, due-process violations and violation of the common benefits clause in the Vermont Constitution. Andre Todd worked as a police officer for Rutland City, Vermont for almost 9 years. He is African-American. Through constructive discharge, he was forced to leave his job in 2012. He was forced out because he exposed cover-ups and racial profiling happening at the city’s police department. He complained about racism to his superiors, but the complaints created a hostile work environment for Todd. Todd’s lawsuit helped clean the police department of the culture of fear and favoritism. When considering our list of unlawful firing settlements from Vermont, remember the fact that the bigger sums are because of punitive compensation, which are handed out to dissuade organizations from doing the same wrongful behavior. Punitive compensation is relatively rare. Most court cases settle for between $40,000 to just a few hundred thousand dollars. This unique report on unlawful termination verdicts and settlements in VT is meant for informational purposes. Despite the fact that you feel resemblance to any of these examples, understand that each and every case is unique. It is understandable that you might want to find out approximately how much money you could get for your wrongful termination case. If you reach settlement (or win your trial), the total amount you acquire is typically determined by these factors: reason of discharge, lost benefits, medical costs, lost earnings, costs of finding a new job and emotional distress. Punitive damages could also be awarded in rare cases, in the event the company acted egregiously. As so you see from the example lawsuits mentioned above, presenting a standard settlement for unlawful termination cases in VT is very difficult because every claim is unique. The average wrongful termination settlement in Vermont is between $4,000 and $100,000. Lawyers are definitely beneficial in negotiating a better settlement. The typical jury awards are usually bigger, around $80,000 – $350,000. This is one reason why organizations prefer to come to a mutually acceptable agreement outside of court. If you think maybe you had been let go for an illegal cause, this is what to do. First, you will need to contact a wrongful termination law firm in Vermont in order to discover whether or not you have got a claim worth pursuing. Ensure that you have plenty of time to submit your claim, consider the Vermont laws of limitations on wrongful dismissal. Secondly, you will most likely need to submit a timely claim with the Vermont Human Rights Commission. Here are the steps you will need to take to file a wrongful termination claim.